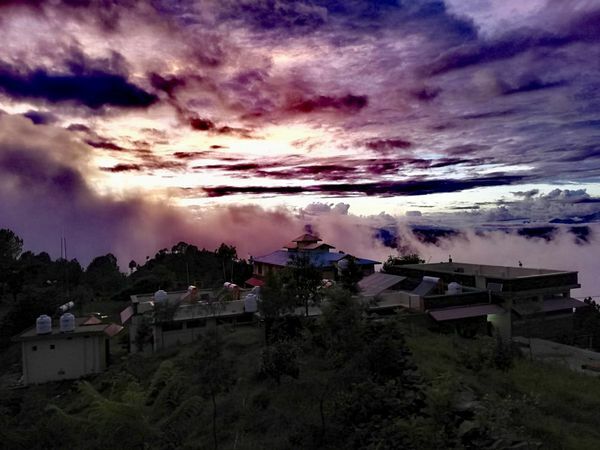 In a beautiful purple light the sky over the nature school area showed itself to the Diwali celebration in November. The festival, which lasts several days, is one of the most popular in Hinduism and so a sea of lights of small clay oil lamps shines everywhere in the streets, shops and houses or the lights float in hundreds in small paper boats on rivers. Diwali illuminates not only the outer world, but also the inner world. Man should remember that he is a divinely created being. The triumph of light over darkness, of good over evil, of knowledge over ignorance is also celebrated. Diwali stands for a new beginning. 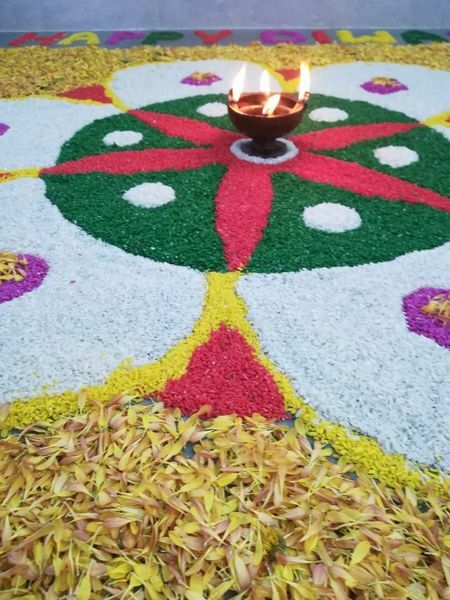 The houses are cleaned, colourfully decorated, sand, flower and candle pictures are created on the streets and cooked for days to celebrate the new beginning with the family with a banquet. 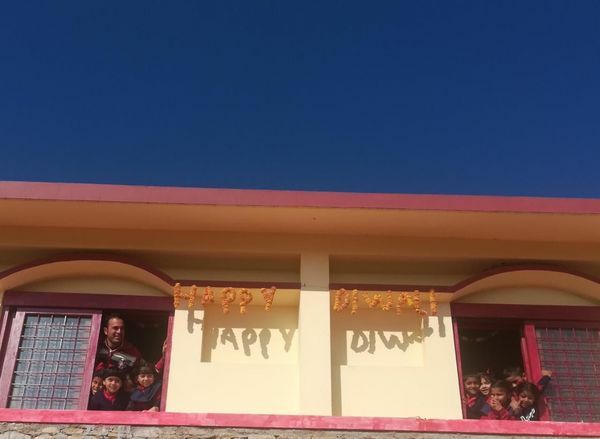 Diwali is also celebrated every year in the nature school. 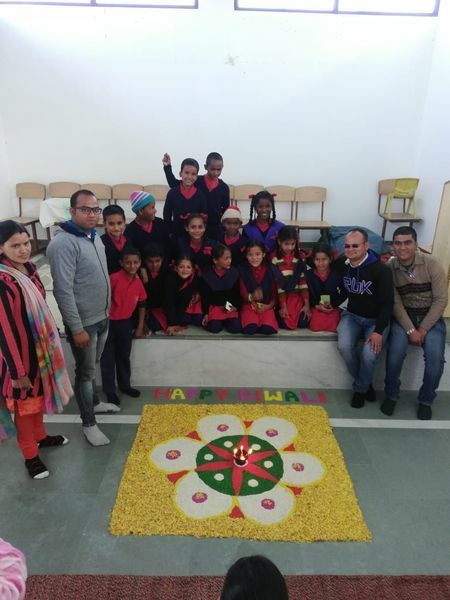 Together with the children, the teachers have laid a beautiful mandala of flowers in honour of this feast in the large hall and wished us all “Happy Diwali” with these pictures.